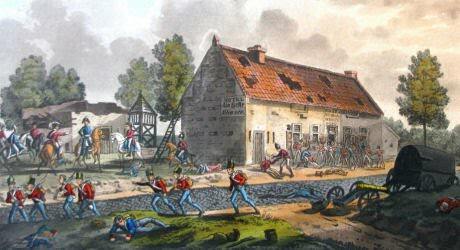 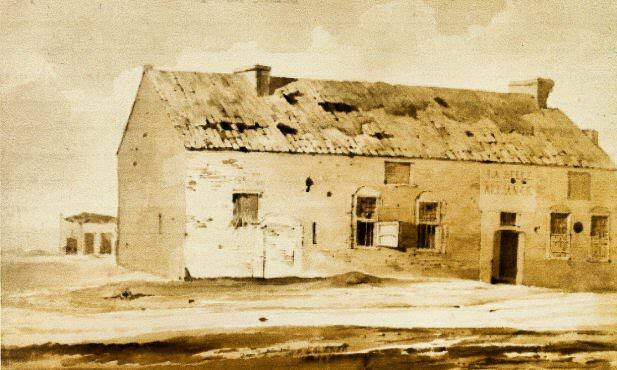 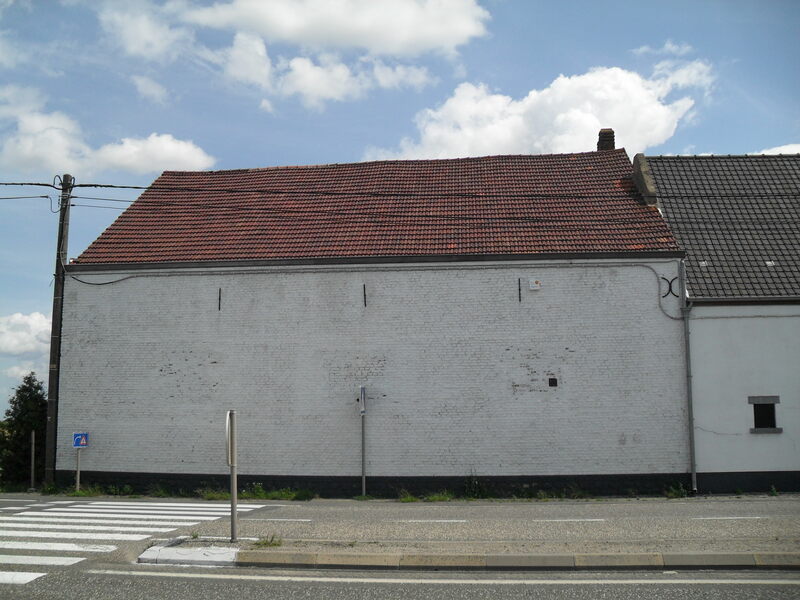 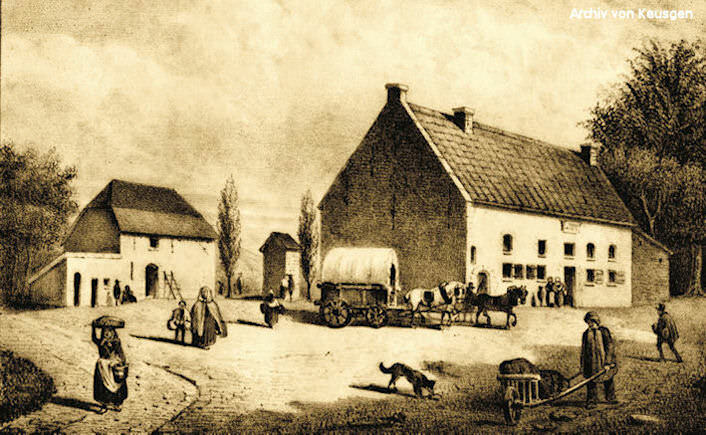 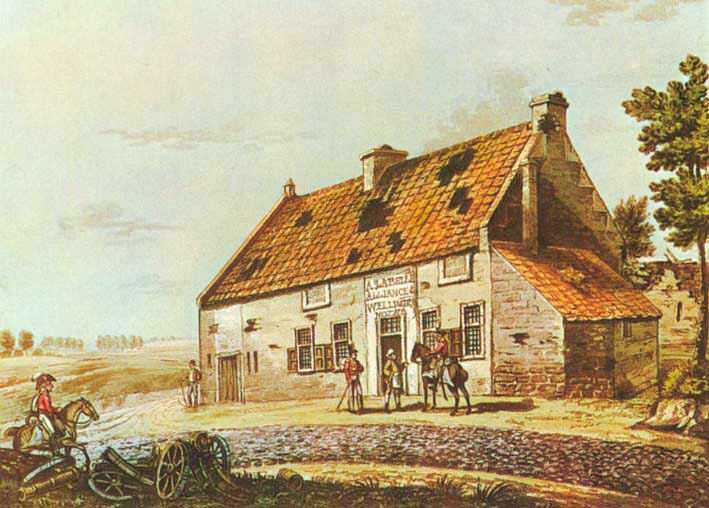 This inn served as the battlefield HQ and field hospital for Napoleons French army in the battle of Waterloo. 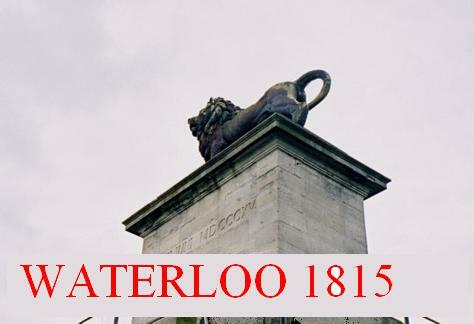 It was also the place where the British field marshal Wellington and the Prussian field marshal Blucher met after the battle was won. 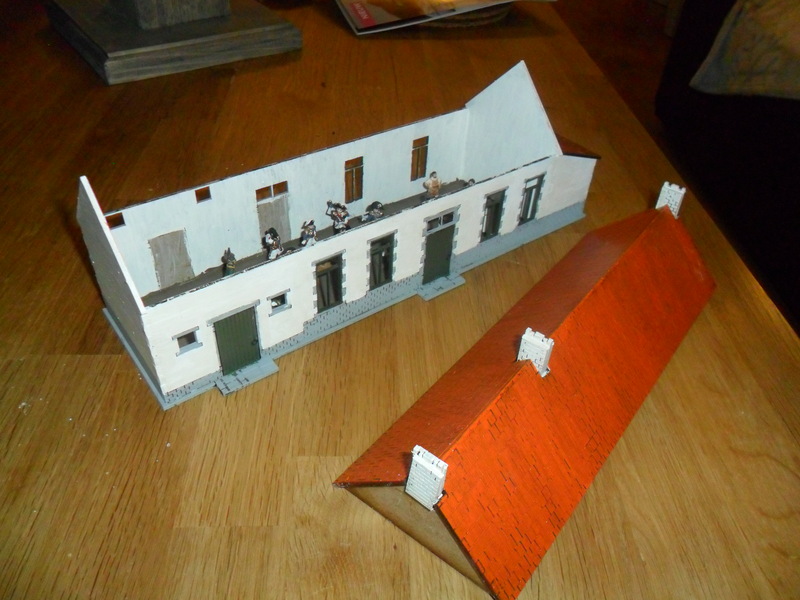 Being a 28mm kit and not 1:72 it is a little bit on the large side, so maybe a more accurate model will be made in the future. 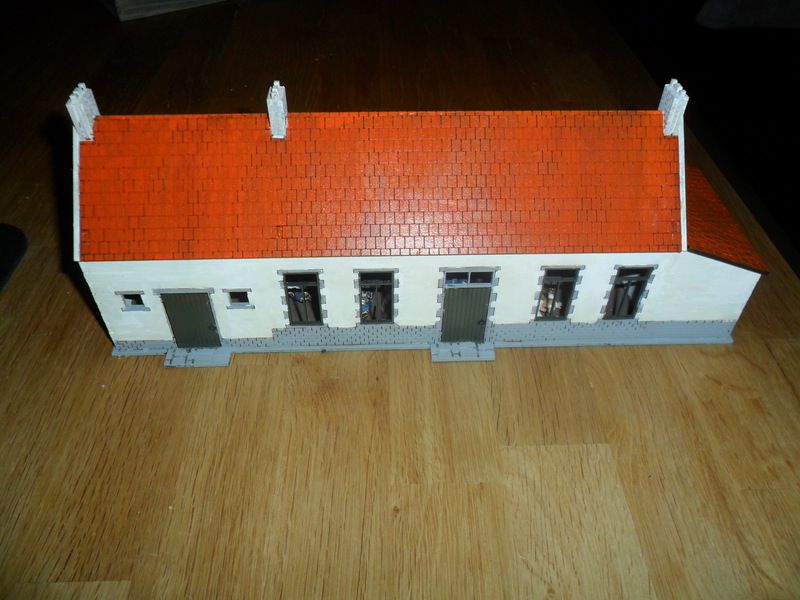 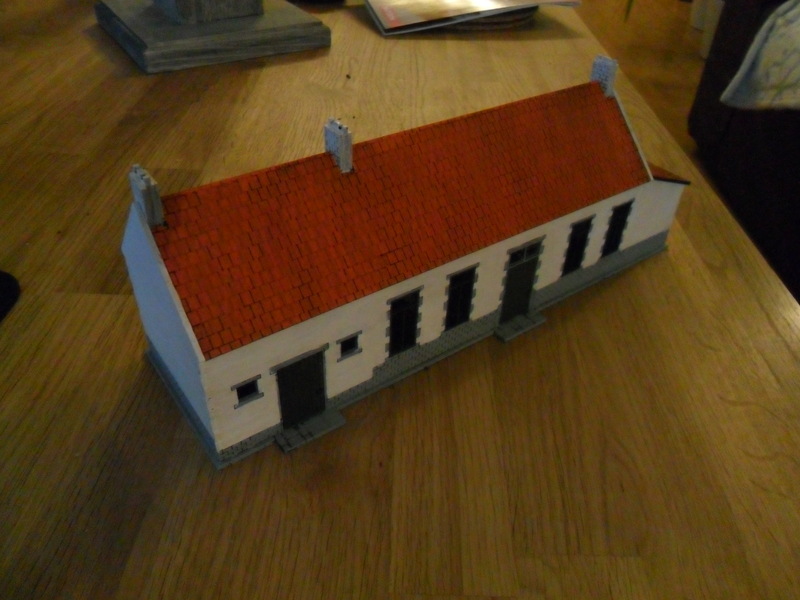 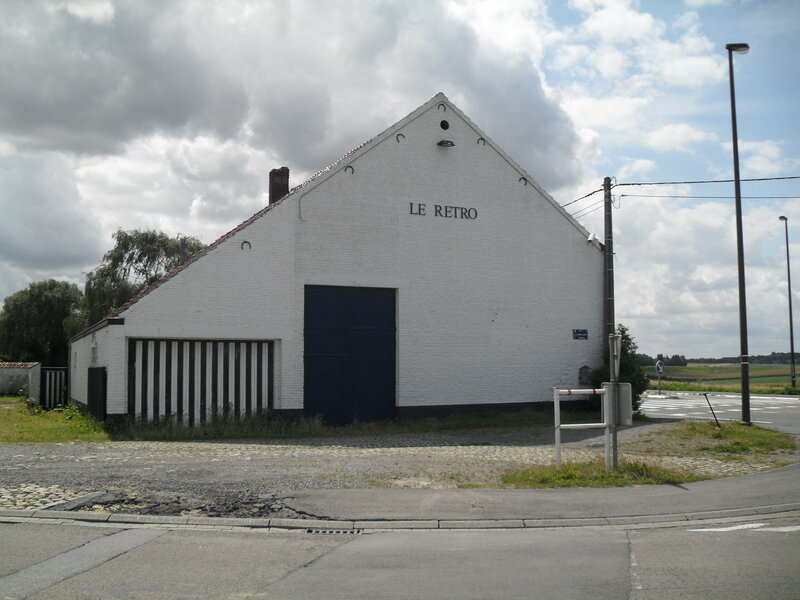 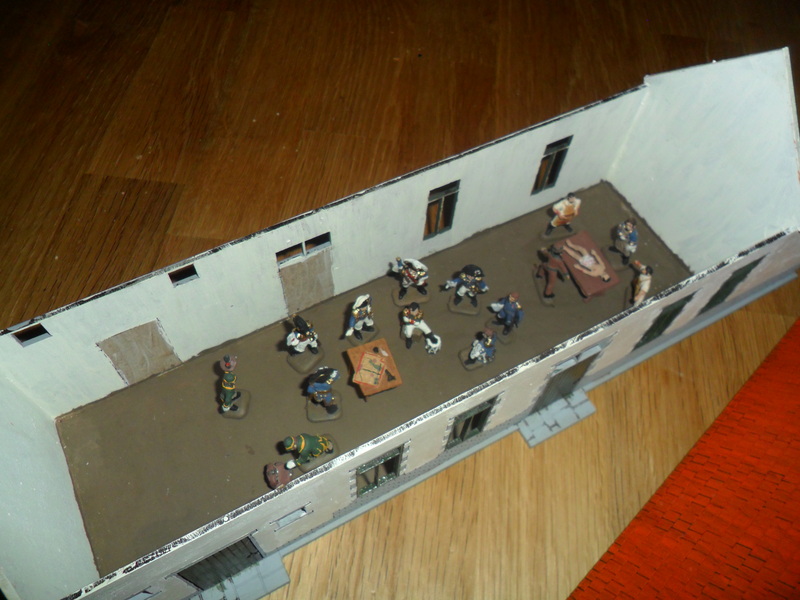 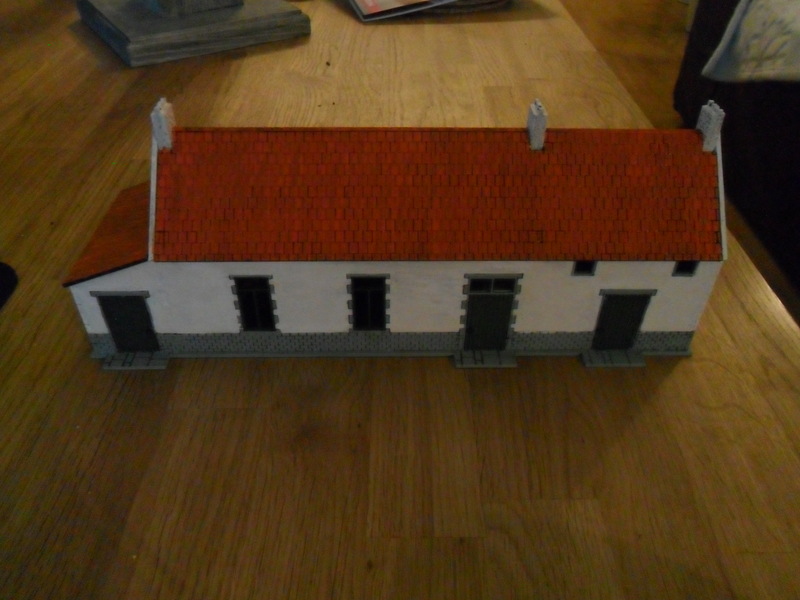 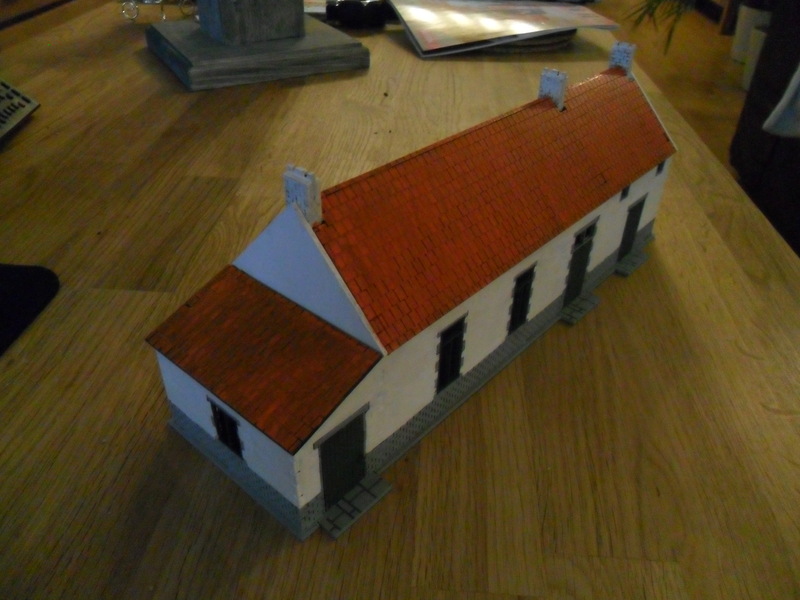 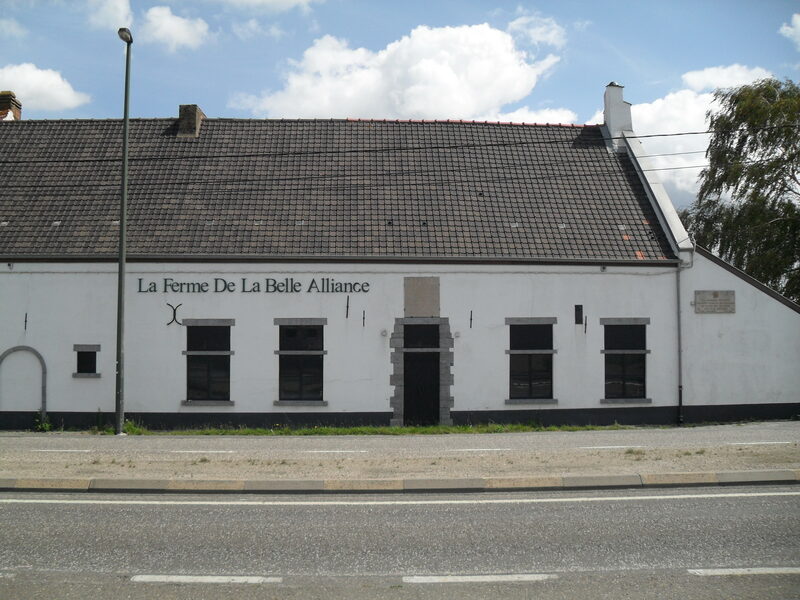 Nowadays La Belle Alliance is called Le Retro, the large barn you see in the pictures above was build after the battle so it will not be build for the diorama. 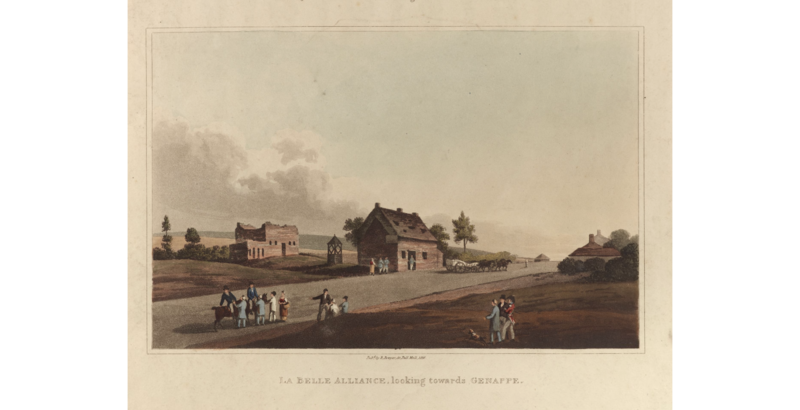 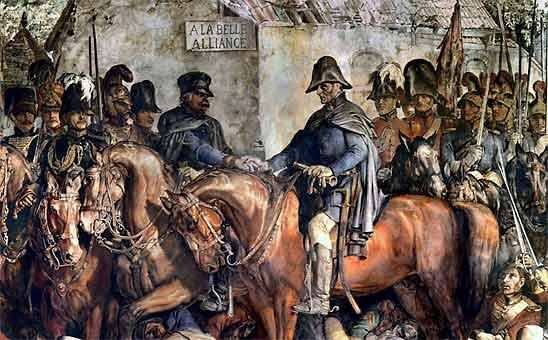 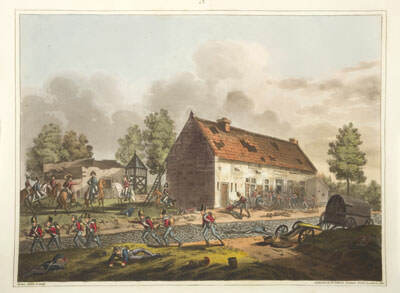 Some pictures from the period (above), show what La Belle Alliance looked like during the battle of Waterloo.